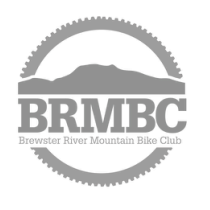 Brewster River Mountain Bike Club, Inc (BRMBC) is a Vermont non-profit corporation operating within the framework of the Vermont Mountain Bike Association (VMBA), a non-profit organization formed in 1997. The primary purpose of the club is to ensure the sustainable future of mountain biking in Underhill, Cambridge and neighboring towns in VT. We work with state and town officials, conservation groups, and other local individuals and organizations. As a club, we seek permission from public and private landowners, to create and maintain non-motorized/multi-use trails, promote responsible riding, conservation, youth participation and respect for the outdoors.